Camissonia cheiranthifolia is native to the coastal areas of California and Oregon. 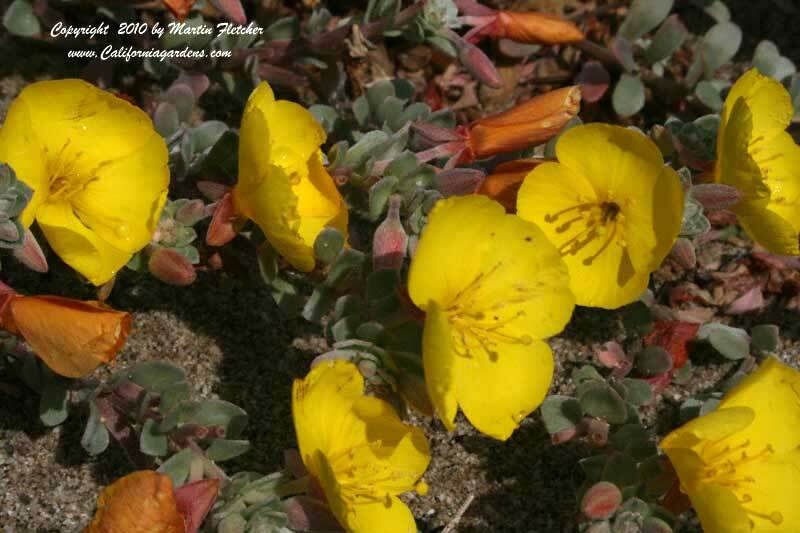 The Beach Primrose can be found in sandy soil on or near the coast. The long taproot allows this plant to be quite drought tolerant once established. Camissonia cheiranthifolia has a long blooming season, rarely being completely without flowers. The Beach Primrose can sometimes be found in wildflower seed mixes, but it rarely persists past the first season unless planted near the coast in well drained soil. Camissonia cheiranthifolia is commonly found on dunes and backdunes habitats. Flowers and foliage of Camissonia cheiranthifolia the Beach Primrose. High resolution photos are part of our garden image collection.